Spent about SGD $200 per person. 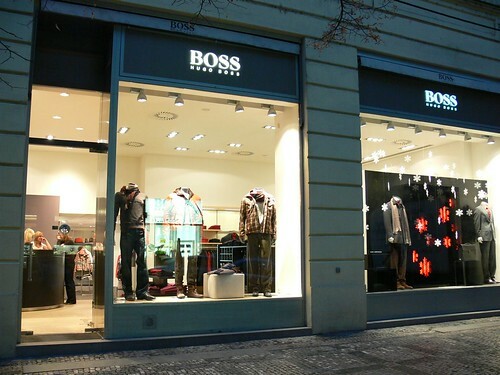 Hugo Boss is a German luxury unisex fashion brand that sells formal business clothing, casual outfits and accessories. 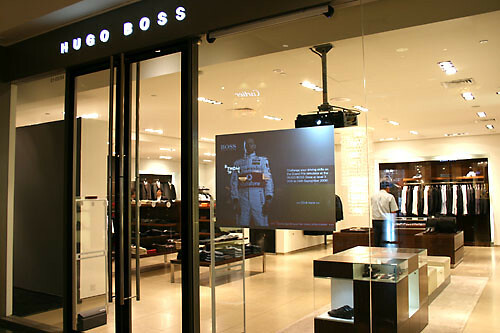 Under the Hugo Boss brand are several lines, including Boss Black (business wear), Boss Orange (casual wear), Hugo (fashion forward styles), and Boss Green (sport and golf styles). 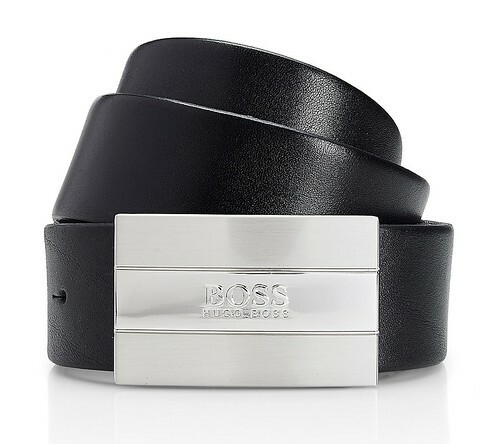 In particular, I like the Hugo Boss belts and wallets. 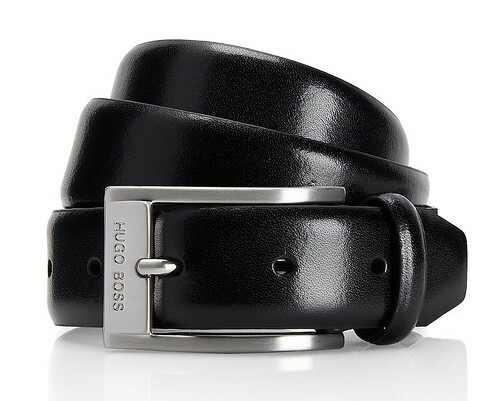 Hugo Boss belts for men generally cost about SGD $100 - $200, and lifespan is pretty long at around 18 - 24 months. Designs for the formal business belts are classic and elegant, and I prefer those with a prominent Hugo Boss logo. Designs for the casual belts are trendy and quirky, keeping up with the latest trends in the fashion world. Hugo Boss doesn't have an extensive range of wallets. Most of their designs for men play it safe, and you generally can't go wrong with one. 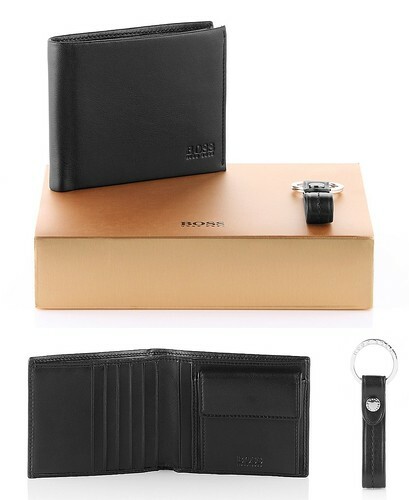 Leather is the de-facto material used in making Hugo Boss wallets. Hugo Boss is also known for their line of fragrances. Some of the more popular scents include Boss Bottled, Boss In Motion, and Hugo Just Different. 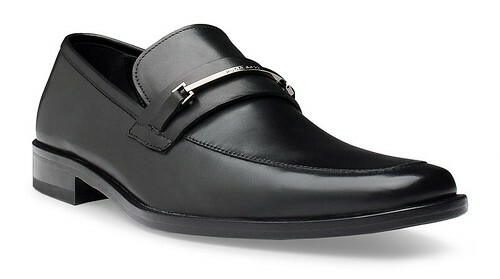 Hugo Boss formal business shoes have a timeless, classic design, and look really good and sharp. But the high price of SGD $170 - $250 per pair doesn't necessarily mean quality workmanship, and lifespan is lower than average when compared to other high end luxury brands, at around 8 - 12 months. 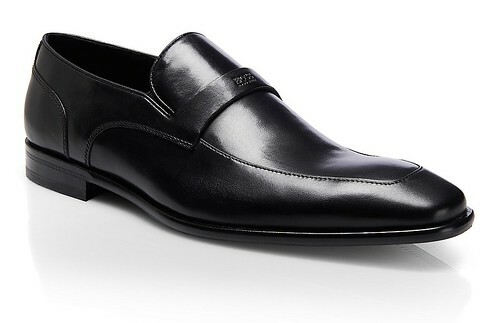 Because of the lack of durability, many people feel that Hugo Boss is not a good brand for formal business shoes. But their shoes are pretty comfortable though. This was an invited media review. I did not pay any admission fee for this event. Images are courtesy of Guinness Singapore and Asia Pacific Breweries Singapore. Despite the rain, guests came from near and far to Timbre @ The Arts House, to see history being made on 21-Feb-2013. Set against the backdrop of the Singapore River and the bright lights of Boat Quay, under the watchful gaze of the statue of Sir Stamford Raffles, guests were here to witness the Guinness World Record of the longest beer bottle bar slide being set. Organised by Guinness Singapore and Asia Pacific Breweries Singapore, the world breaking record attempt was held to commerate the launch of the new Guinness Draught in a Bottle (GDIB). Packaged in a sleek 330 ml black bottle, the Guinness Draught in a Bottle (GDIB) is step away from the traditional tap beer served in a pint glass for Guinness. With this launch, Singapore becomes only the 3rd country worldwide, and the 1st in Southeast Asia to offer this new Guinness variant. A specially constructed 15 m (length) x 0.5 m (width) bar counter with a smooth top had been constructed just for this event. 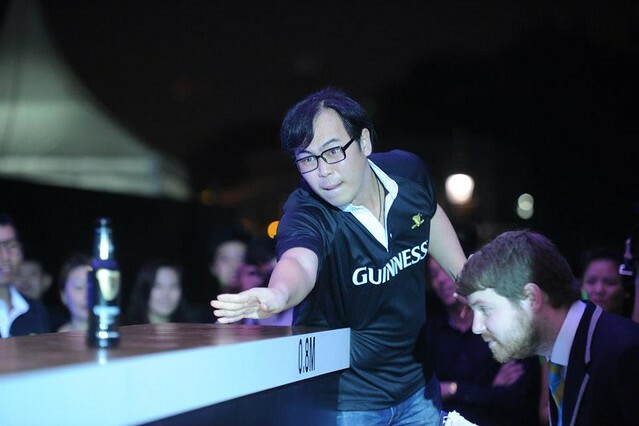 5 lucky Guinness Singapore Facebook fans had been handpicked to attempt to set the world record, as they were deemed to have submitted the most creative entries in a contest held by Guinness, which was to complete the sentence "Guinness is as smooth as…". Stringent criteria had to be met to successfully set the Guinness World Record of the longest beer bottle bar slide. Each of the 5 fans had only 2 attempts to slide an opened bottle of Guinness Draught in a Bottle (GDIB) down the smooth top of the specially constructed bar counter. The bottle had to remain on the counter the entire time, without falling off, and there had to be no beer spillage. They could only slide the bottle using 1 hand, and the bottle must slide a minimum of 10m. An adjudicator from the Guinness World Records, Richard Stenning, had been invited to judge the attempt. Despite intense competition and several failed attempts, the world record was eventually clinched by Mr. Jeffrey Ng. He managed to slide the bottle a distance of 14 m, 10.4 cm (46 ft 3.276 in), to loud cheers and applause. Mr. Rene de Monchy, Head of Marketing for Asia Pacific Breweries Singapore, who received the official certificate together with Jeffrey Ng, said "We are thrilled to have secured the Guinness World Records title for the 'Longest Bar Slide' which made the launch of the iconic Guinness Draught in a Bottle even more ground-breaking. What an exciting first for Guinness in Singapore! Guests and fans witnessed history today and the achievement marks the launch of Guinness Draught in a Bottle which offers consumers a new way of enjoying the Guinness draught they know and love." Adjudicator Richard Stenning measures the record breaking attempt, while someone falls asleep in the background! Jeffrey, a 30-year old finance executive and the new world record holder, had this to say about the launch party, "Everything about this evening has been spectacular, from the once-in-a-lifetime experience of setting a Guinness World Records title on behalf of Guinness, to the pyrotechnic display and refreshingly smooth Guinness Draught in a Bottle. This will be a night that my friends and I will remember forever!" On a personal note, I loved the taste and texture of the new Guinness Draught in a Bottle (GDIB). While I'm normally not a big fan of Guinness, I like the smoothness of this beer, as it slides down the throat very easily. There is a slight touch of sweetness, and most importantly to me, no hint of bitter aftertaste. Guinness Draught in a Bottle (GDIB) will retail for approximately SGD $12 per bottle at clubs, restaurants and diner outlets all over Singapore. Guinness should always be enjoyed responsibly. For more information about the launch of GDIB in Singapore, please visit https://www.facebook.com/Guinness.SG. Take a look at the awesome video of the feat shot by Anavarin! Spent about SGD $90 per person. 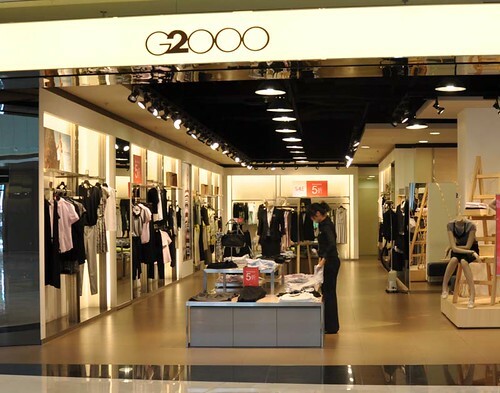 G2000, which stands for Generation 2000, is a trendy unisex clothing store that carries both formal business clothes and casual clothes. 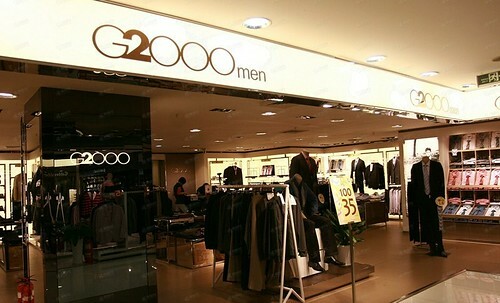 For men, the G2000 brand represents classic and affordable business wear, and is popular amongst the young working executives. Although designs at G2000 at rotated every season, you generally can't stray too far from the classic look. As G2000 designs are catered for the masses, don't expect to find unique, identity-expressing clothing here. When I'm not tailoring my formal business clothes, I usually purchase them from G2000. What I like about the formal business clothes at G2000 is the extensive range they have. Shirts tend to be in bright, solid colours, which I like, and trousers typically have a series of patterns on them instead of being just plain. Another plus point for the formal business clothes from G2000 is their wrinkle-free material. This makes ironing their clothing so much easier! A formal business long sleeve shirt costs about SGD $19 - $70, while a formal business trousers costs about SGD $30 - $80. While I like the clothing from G2000, I dislike their belt designs, which I feel are rather old and outdated in terms of fashion. When G2000 phases out their old designs, all remaining stock will be put on sale, typically at half the normal prices. These 'old' stock will be removed from all normal G2000 stores, and re-located to be sold in G2000 sale outlets. 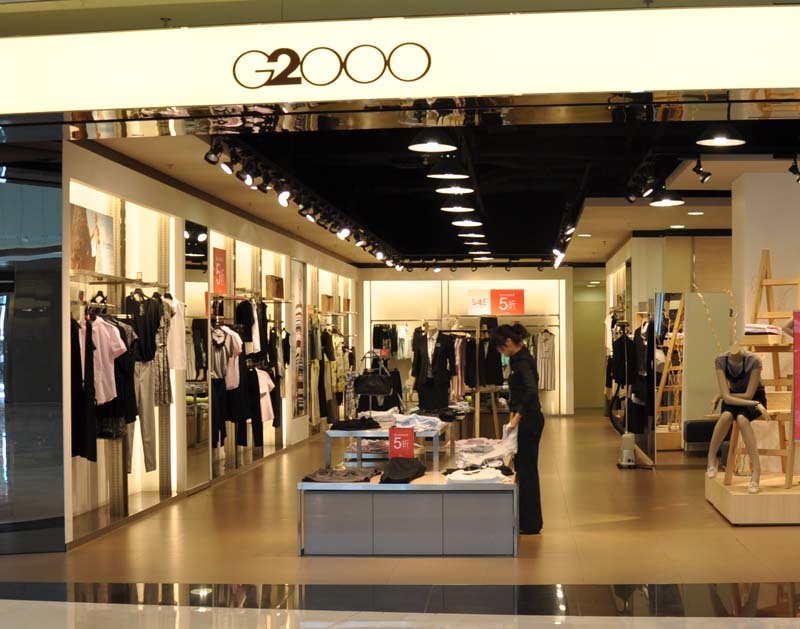 In Singapore, there are only 2 such G2000 sale outlets, located in Anchorpoint and Changi City Point. Go there for good deals on their clothes! 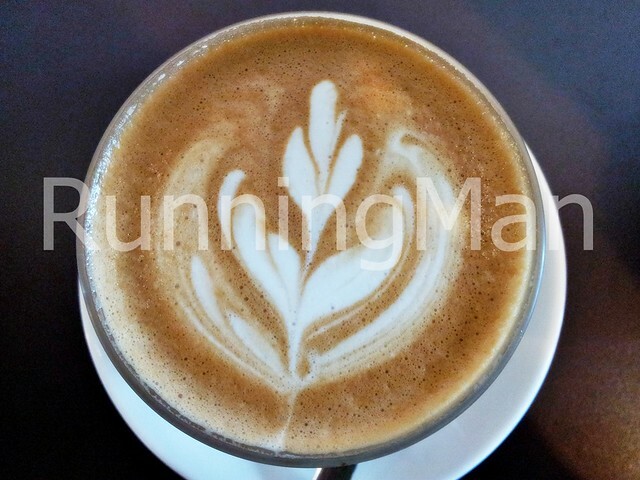 Unlike its unique but odd choice of name, Selfish Gene Cafe is a warm, welcoming place. 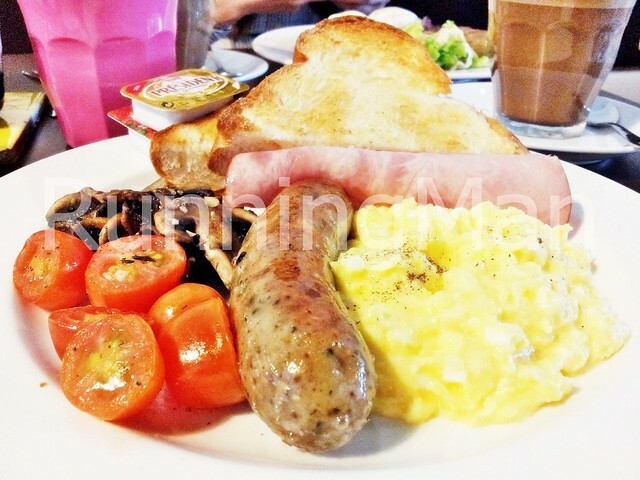 Located in the Duxton region, Selfish Gene Cafe attracts a more youthful crowd. On weekdays, expect to see young executives or yuppies, while the weekend crowd tends to be students or hipsters. 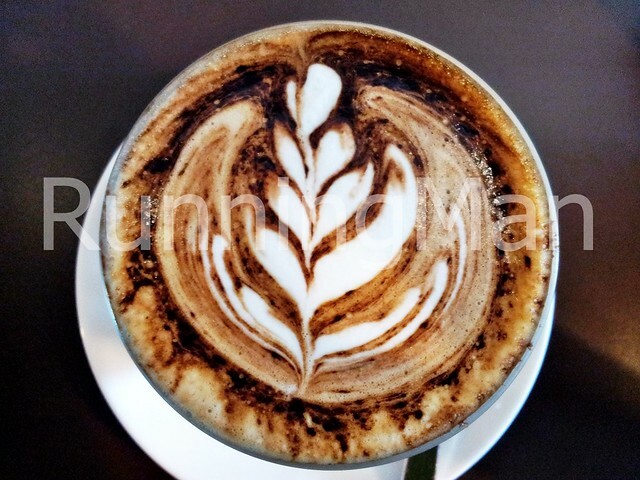 The ambience at Selfish Gene Cafe is simple and casual... You wouldn't be out of place wearing slippers or shorts here! Decor is minimal, and furniture is reminiscent of study tables you might find in school. 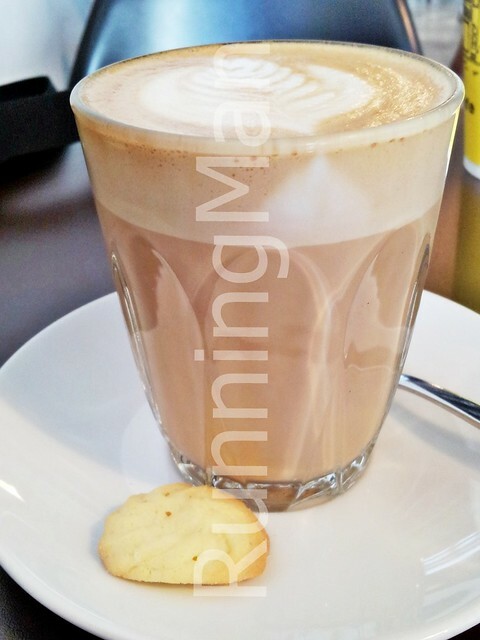 Selfish Gene Cafe practises self-service ordering and billing, although they will serve food and drinks to your table. Because of this, staff don't really interact much with customers. However, they are friendly and polite. I especially like their quirky numbered cup concept, which besides identifiying your order, also serves to hold your change and receipt. 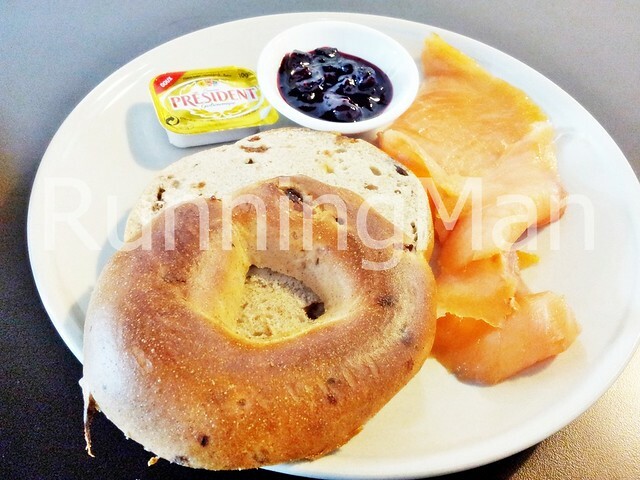 Food at Selfish Gene Cafe is rather simple fare. Sandwiches, all-day breakfast items, desserts and salads make up the bulk of their offerings. 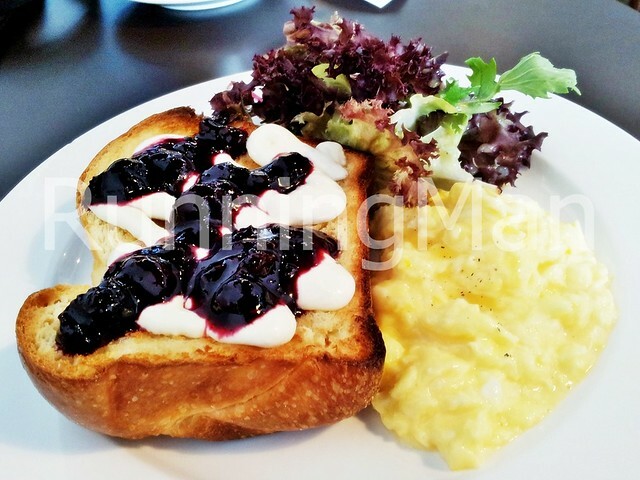 Fortunately, every dish I've had at Selfish Gene Cafe features fresh ingredients, even down to the home-made jam / compote. 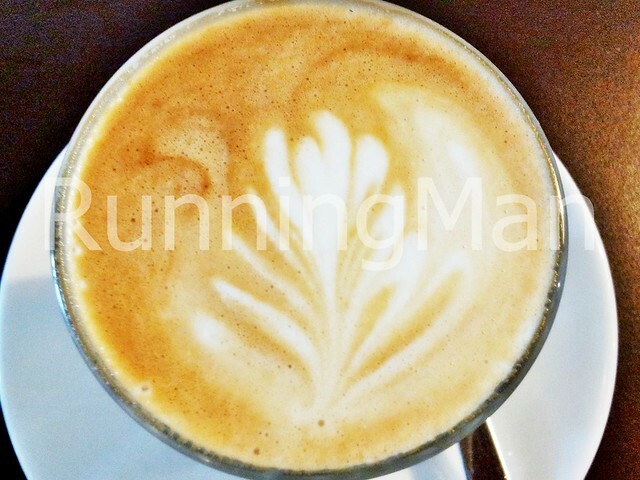 Selfish Gene Cafe is proof that fresh, simple and uncomplicated food can be good! The menu at Selfish Gene Cafe isn't extensive though, but it's still a great place for breakfast, brunch or light lunch. 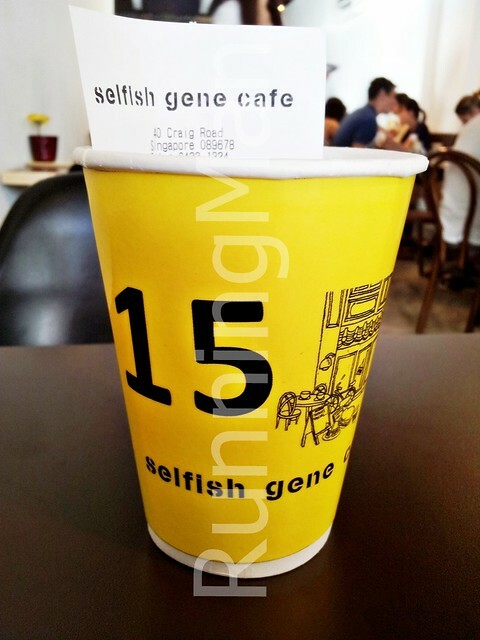 The Selfish Gene Cafe Receipt Cup is your order number, and a change and receipt holder. 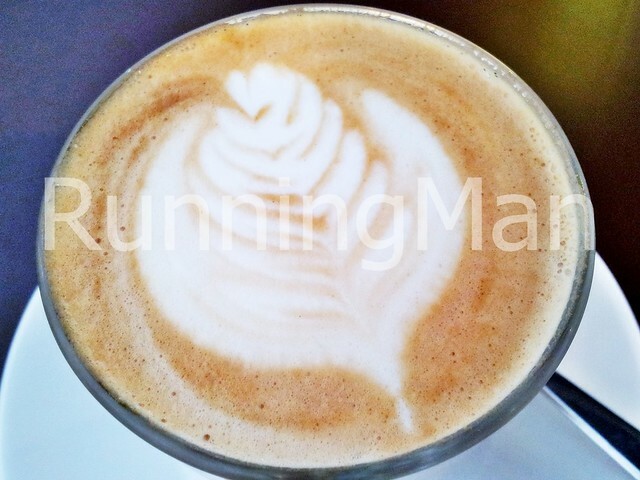 I felt the Latte here was somewhat average. Not one of the better ones I've had. 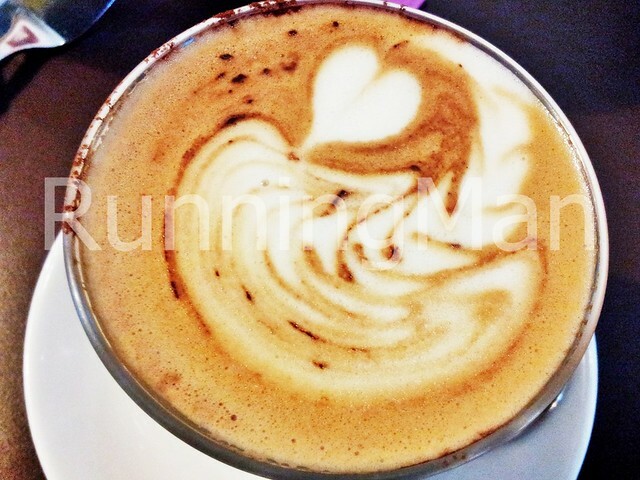 The Mocha was pretty good, although sometimes it has more chocolate powder, and others times less. I loved The Valerie! 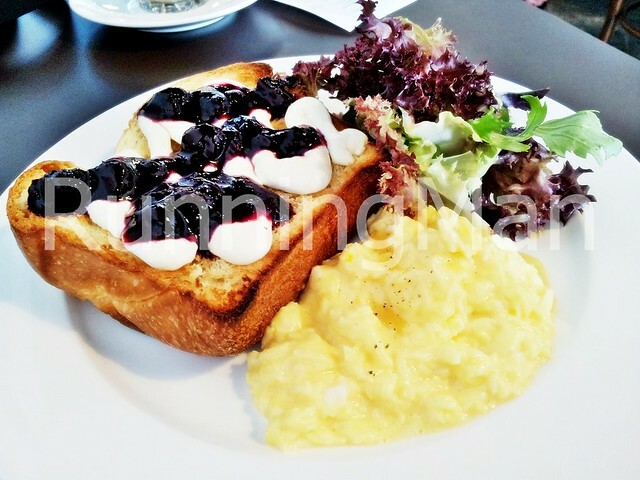 The scrambled eggs were smooth and creamy, the berry jam / compote was fresh and tangy, and the brioche bread was soft with a chewy texture. I thought the salad was probably among one of the best salads I've eaten, with fresh, crunchy vegetables, but the real kicker was the lemon citrus vinaigrette! 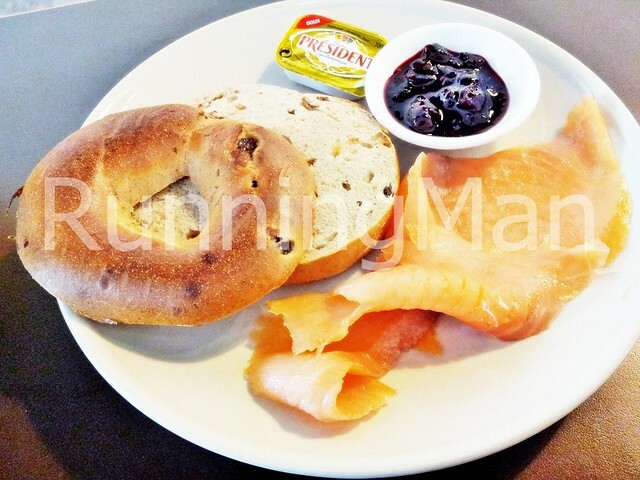 The Toasted Cinnamon Raisin Bagel With Smoked Salmon was quite good. The bagel was nice and warm, with the fragrant scent of cinnamon. But it was slightly harder than I expected for texture. The smoked salmon was average though. 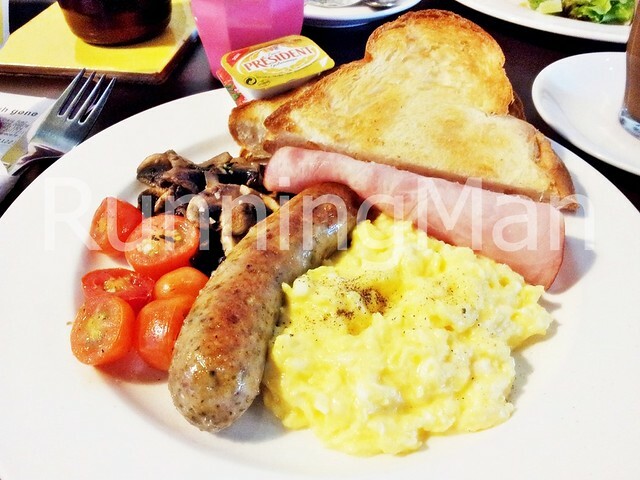 The Breakfast Plate has a generous helping of grilled mushrooms, grilled cherry tomatoes, softly scrambled eggs, a pork sausage bratwurst, a slice of ham, and 2 slices of brioche toast with jam and butter. Loved the bread, and the eggs were perfectly fluffy and yummy. 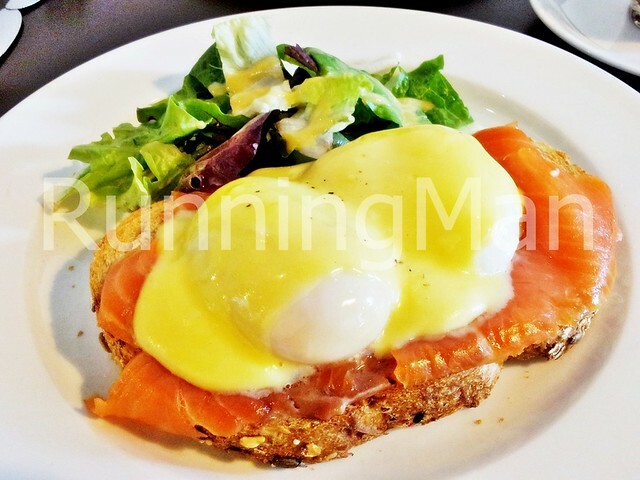 The Eggs Royale is placed on the special menu for occasions, or near festive events. I like the combination of the smoky, salty taste of the salmon which balances with the softly poached eggs wobbling gently on the multigrain toast. 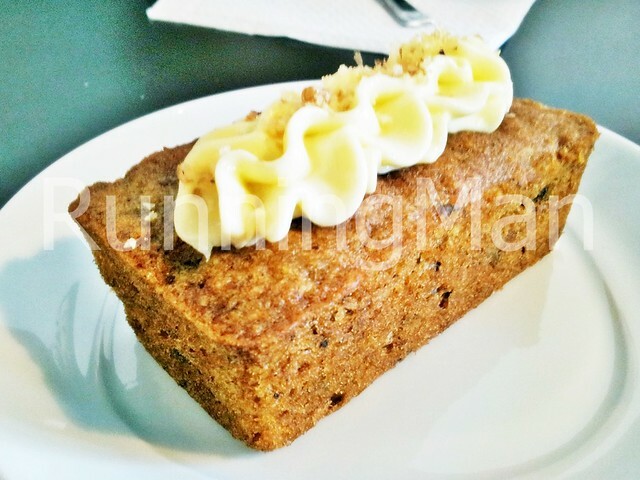 Their Banana Cake is the best selling dessert, but the Carrot Cake is pretty decent as well. It's rather soft, but not as moist as it could be. I like the burst of citrus from the raisins within. Words and Research by Ivan Teh RunningMan, Pictures credited to sources. Accomplishing a Guinness World Record is no mean feat. It requires the person / persons to be more talented, creative, courageous, determined or crazy enough than anyone else on the planet. Here then are 60 Guinness World Records Held By Singapore, which allows us, as Singaporeans, to look back on with pride. 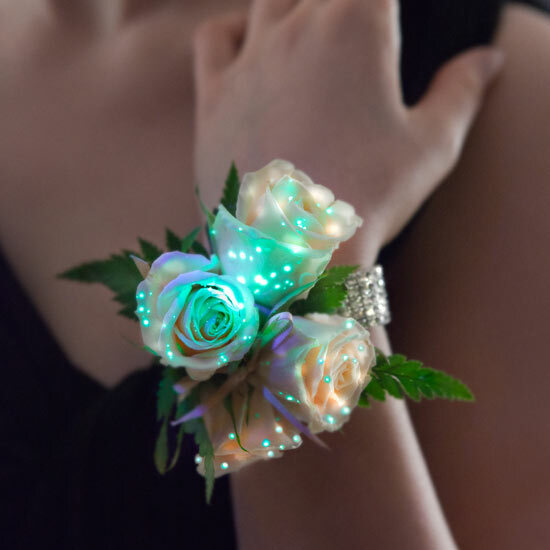 The world's first bioluminescent flower was developed by Prof. Chia Tet Fatt from the National Institute of Education on 1 December 1999. He used a white-petalled orchid known as Dendrobium White Fairy #5 and combined it with the luciferase gene from fireflies. 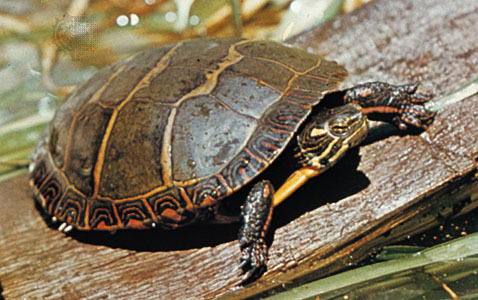 The resulting specimen emitted a greenish-white light for up to 5 hours. The world's largest collection of tortoises and turtles is held by Mr. Danny Tan, set on 16 June 2005. The number achieved was 3,456, which included over 1,000 live specimens, and all of which can be seen at The Live Turtle and Tortoise Museum, which is a Singapore Attraction located within the Chinese Gardens in Jurong. 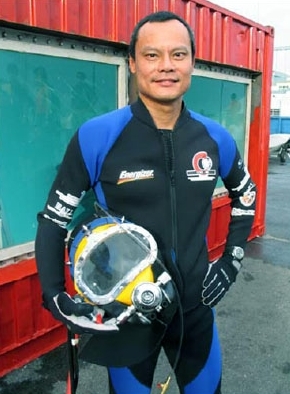 The longest scuba submergence in a controlled environment was achieved by Mr. Khoo Swee Chiow. Using air bell rests, he spent 220 hours underwater, from 16 - 25 December 2005. He is pictured at the attempt above. 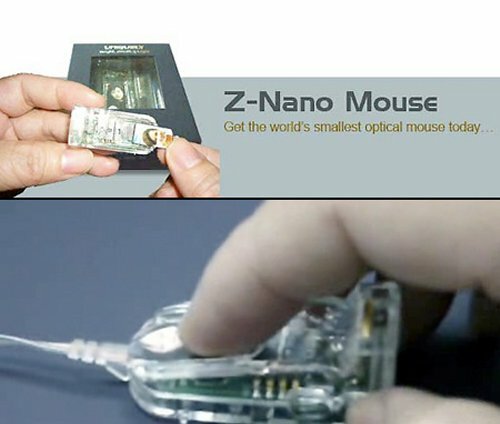 The world's smallest optical mouse was developed by inventor Mr. Ng Kai Cheong on 10 January 2008 at CyberInc Pte Ltd. Called the Z-Nano mouse, it measures 42.5 mm (length), 20.5 mm (width) and 17.6 mm (height) and has all the functionalities of a regular mouse. It is operated with a finger. The actual product is displayed above. The longest distance covered on inline skates / rollerblades was 6,088 km (3,782.9 miles), achieved by Mr. Khoo Swee Chiow. 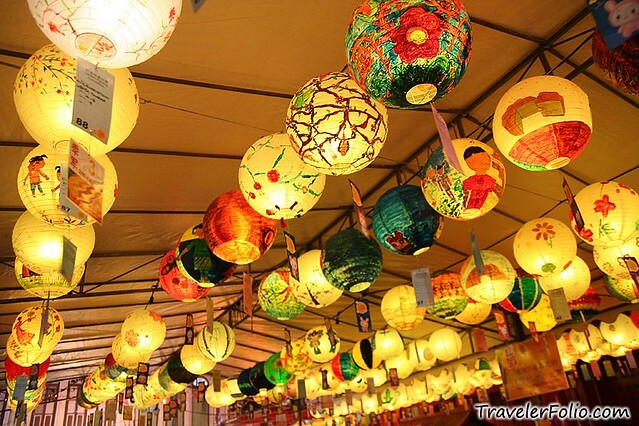 From 20 October 2007 to 21 January 2008, he travelled from Hanoi, Vietnam to Singapore. He is pictured at the attempt above. 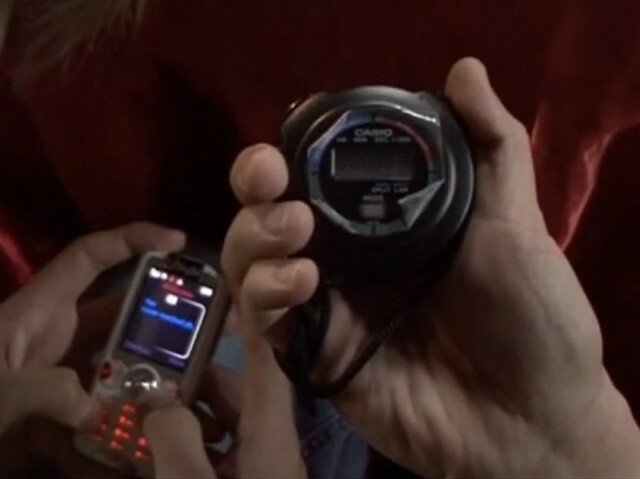 The fastest text messager / fastest time to type a text message (SMS) using a mobile phone has been broken multiple times, due to the constant evolution of mobile phone technology. The message used to measure the record is always: "The razor-toothed piranhas of the genera Serrasalmus and Pygocentrus are the most ferocious freshwater fish in the world. In reality they seldom attack a human." The first Singaporean to break the record was Kimberly Yeo, with a time of 43.24 seconds, set on 28 June 2004. The second Singaporean to hold this title was Ang Chuang Yang, with a time of 41.52 seconds, set on 12 November 2006. The latest Singaporean to achieve this was Jeremy Sng Gim, with a time of 41.40 seconds, set on 24 February 2008. Sadly, all these were attempted before smartphones became available. A picture from one of the attempts is displayed above. The current holder of this record is Marcel Fernandes Filho of Brazil, with a time of 18.19 seconds, set on 25 April 2014. 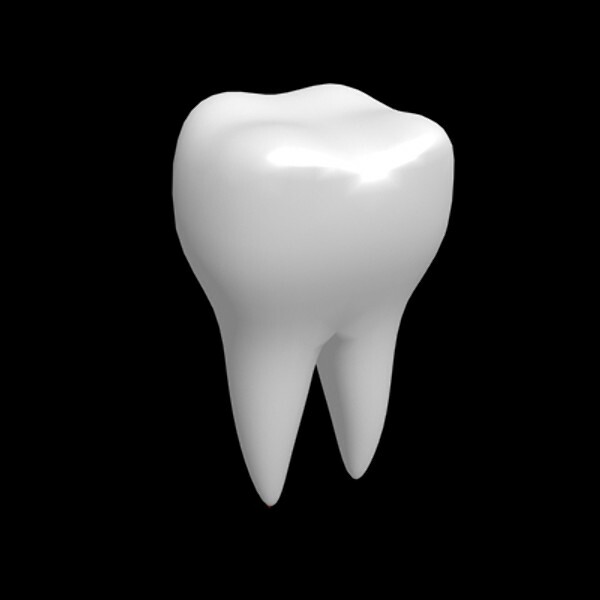 The longest human tooth extracted measured 3.2 cm (1.26 in). It was extracted from the mouth of Ms. Loo Hui Jing, at the Eli Dental Surgery Clinic by Dr. Ng Lay Choo, on 6 April 2009. 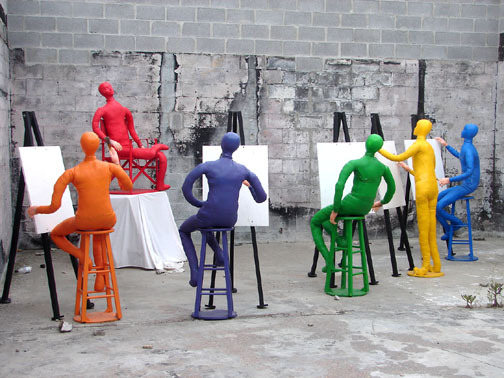 The world's largest art lesson held simultaneously across multiple venues was set by Mr. Peter Draw, on 2 October 2010, when he conducted an art lesson for 1,817 participants, in 33 locations in 12 countries. The event was enabled by Cisco Systems and the countries included Australia, India, Thailand, China, Indonesia, Malaysia, Philippines, U.S.A., Korea, Singapore, Taiwan and Japan. 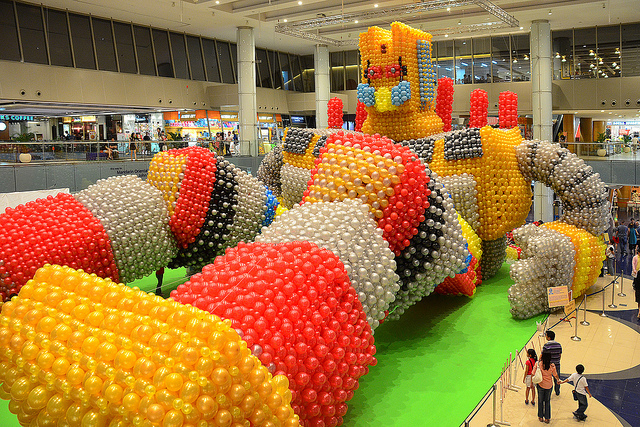 The world's largest three dimensional balloon sculpture was created by balloon artist Ms. Lily Tan, who led her team of 50 people from Taiwan, Hong Kong, Malaysia and Singapore to create a robot named 'Sentinel', made with 79,854 balloons. The balloon sculpture took 42 hours to complete, from 12 - 15 March 2012, and measured 23.3m (length), 19m (width), and 11.5m (height). It was displayed at Marina Square Shopping Mall. The actual feat is displayed above. 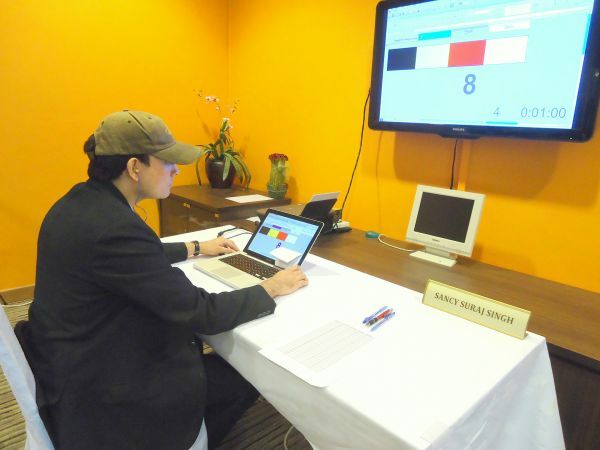 The world's longest colour sequence memorised was achieved by educational and corporate trainer Mr. Sancy Suraj Singh, who memorised a sequence of 160 randomly generated colours flashed on a computer screen at the rate of 2 seconds per colour. He then proceeded to record the exact sequence on a piece of paper with a perfect score, setting the record on 14 April 2012 at Simei ITE College East. He is pictured at the attempt above. 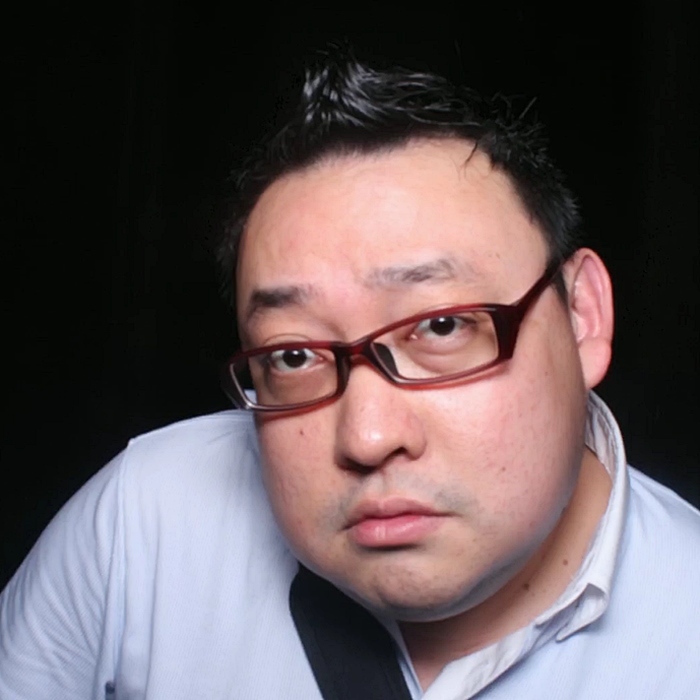 The world's longest beer bottle bar slide was set by Mr. Jeffrey Ng on 21 February 2013, at Timbre @ The Arts House, with a distance of 14 m, 10.4 cm (46 ft 3.276 in). The event was organised by Guinness Singapore and Asia Pacific Breweries Singapore to mark the launch of their new Guinness Draught in a Bottle (GDIB). He is pictured at the attempt above. I was present during this event to witness the record being set. 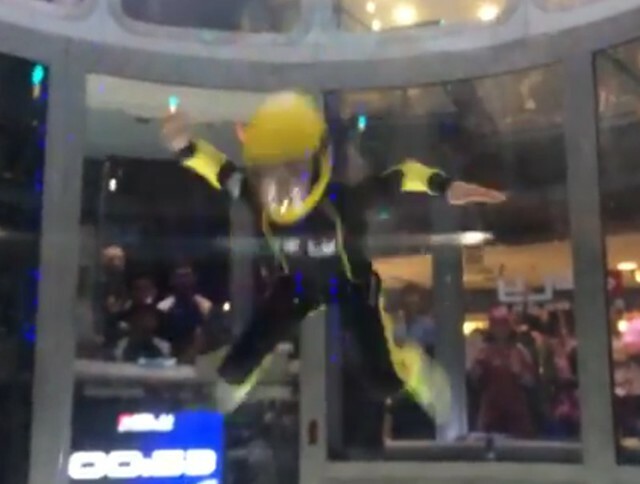 The most backwards somersaults in a wind tunnel in 1 minute was set on 4 December 2013 at iFly Singapore, by Kyra Poh who completed 68 backwards somersaults. A photo of the actual event is pictured above, and the video of the actual feat can be viewed here. 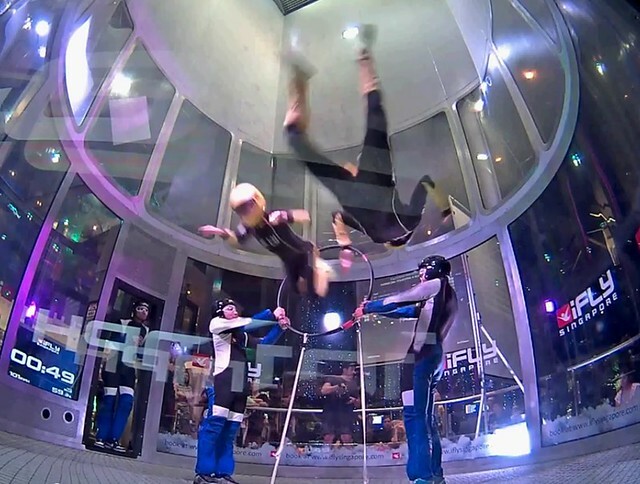 The most 360 horizontal spins in a wind tunnel in 1 minute (individual) was set on 24 June 2014 at iFly Singapore, by actress Hayley Woo Jia Yi who completed 26 horizontal turns. She was participating in the charity initiative and reality television series 'So You Think You Can Fly'. A photo of the attempt is displayed above. 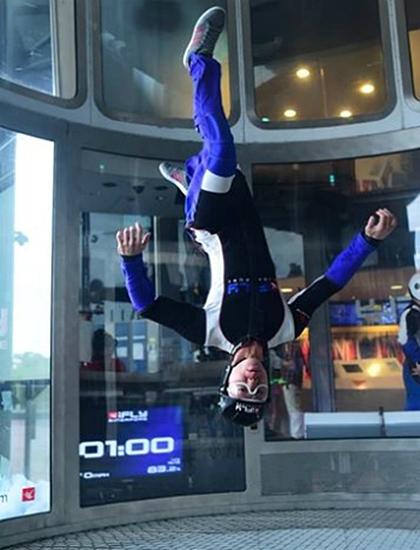 This record was later broken on 21 May 2015 at iFly Singapore, by Lawrence Koh who accomplished 38 horizontal turns. The most forward and backward movements in a wind tunnel in 1 minute (individual) was set on 3 October 2014 at iFly Singapore, by Lye Yu Xuan who completed 33 movements. A photo of the actual event is pictured above, and the video of the actual feat can be viewed here. The most head spins in a wind tunnel in 1 minute was achieved by Jonathon Loh Hui Jie on 21 May 2015, at iFly Singapore. He completed 50 head spins within the time limit. A photo of the attempt is displayed above. The most pull-ups in 1 minute was set by Mr. Yeo Kim Yeong on 19 June 2015. He completed 44 pull-ups within the time limit, 2 more than the previous record holder. He is pictured at the attempt above, and the video of his feat can be viewed here. 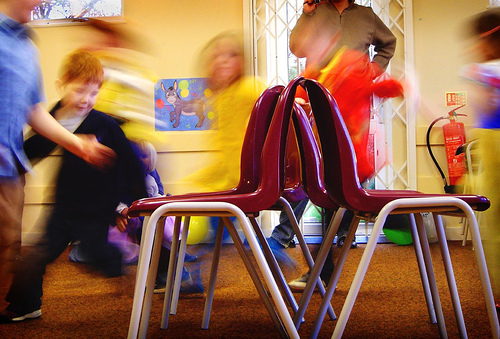 The world's largest game of musical chairs was played by Anglo-Chinese School (ACS) on 5 August 1989. 8,238 participants took part over 3.5 hours, and the winner was Mr. Xu Chong Wei. 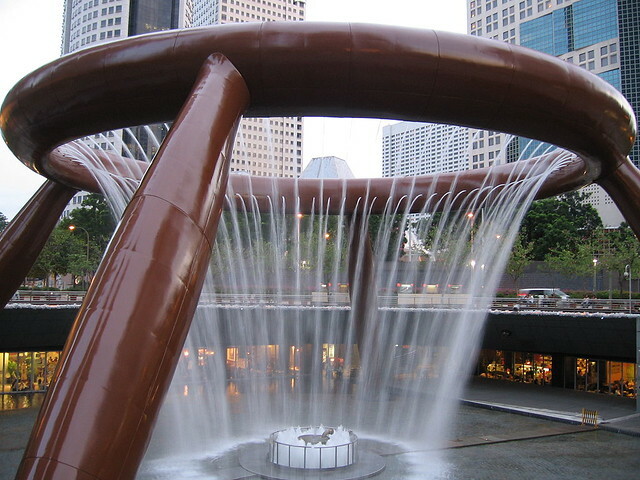 The world's largest fountain was the 'Fountain Of Wealth', located in Suntec City Mall. Made of silicon bronze, the fountain consists of a circular ring with a circumference of 66 meters supported by four legs. It occupies an area of 1,683 square meters, with a height of 13.8 meters. A symbol of wealth, unity and life, it was officially recognised on 1 October 1997. The actual location is displayed above. The world's largest game of pass the parcel was played by 3,918 students from the Nanyang Technological University (NTU) on 28 February 1998. 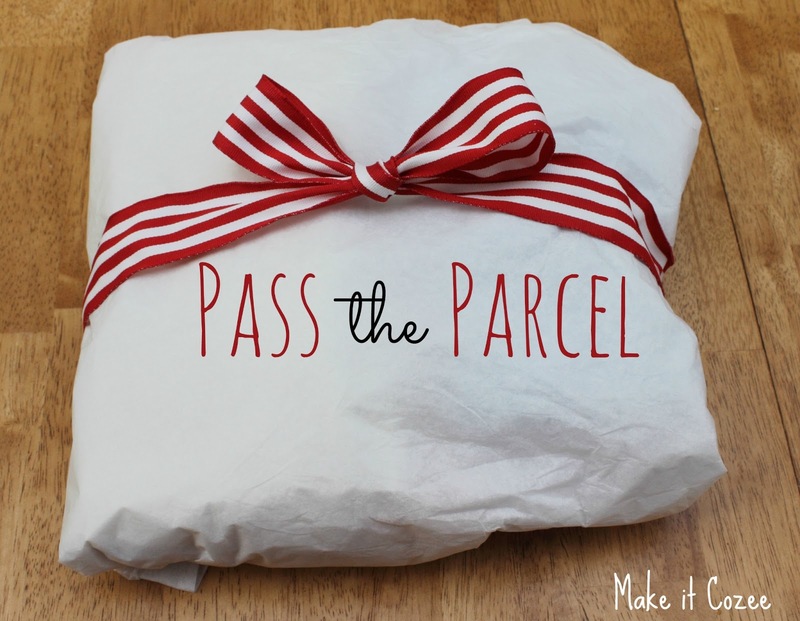 They removed 2,200 wrappers from a parcel measuring 1.5 m x 1.5 m x 0.5 m over 2.5 hours. 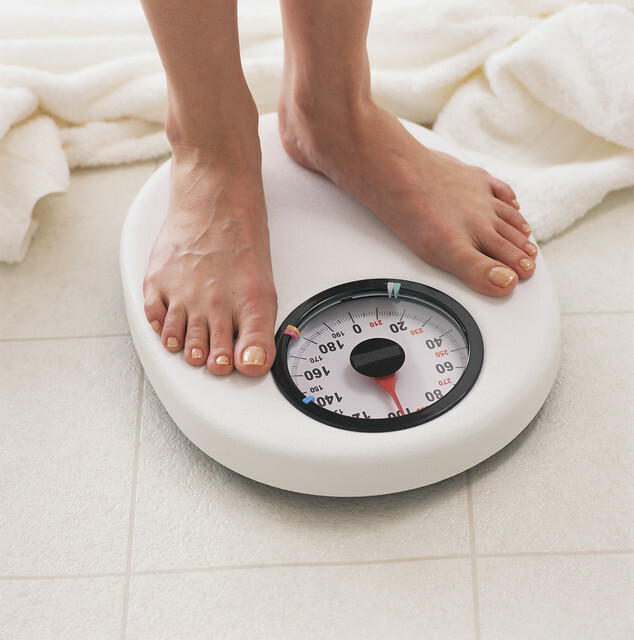 The world's largest body mass index check was achieved by the Ministry Of Health (MOH) on 5 September 2004, in Sentosa and involved 3,594 participants. It was part of the National Healthy Lifestyle Campaign day, and participants also received blood pressure checks, dental screenings, a BFA (Body Fat Analysis), and a BMD (Bone Mass Density) test. 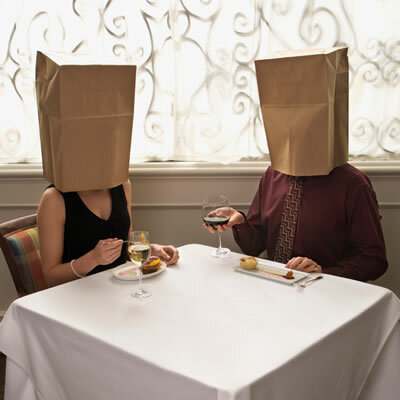 The most couples on a blind date in 12 hours was set by students of the Nanyang Technological University (NTU) on 20 July 2005. 268 couples (536 people) participated in this event organised by the Joint Hall Orientation Committee. 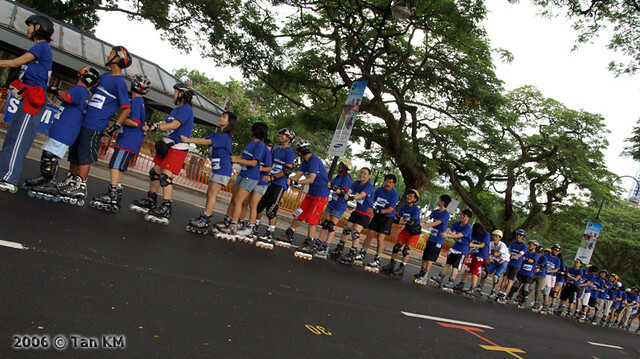 The world's longest inline skating chain was an event organised by Samsung Asia Pte Ltd on 6 August 2006, at the Padang. It involved 280 participants. The actual feat is pictured above. I was present during this event to witness the record being set. 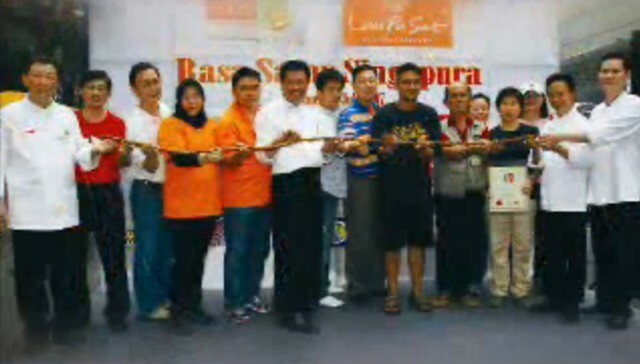 The world's longest satay line was created by the Kopitiam Group on 21 July 2007, at Lau Pa Sat. Measuring 140.02 m (459 ft 4 in), the satay was made with 150 kg of chicken, and marinated with cumin, coriander, fennel, ginger, turmeric, lemongrass, onion, sugar and salt. 150 staff grilled it over a charcoal fire. The actual feat is pictured above. The world's longest chain of helmets was achieved by Keppel Offshore & Marine Limited, on 21 October 2007 at Siloso Beach, Sentosa. It consisted of 18,000 safety helmets, which measured a total length of 5,664 m (18,582 ft). A photo from the actual event is displayed above. The world's largest lantern parade was organized by the Land Transport Authority (LTA), on 14 September 2008 to celebrate the mid-autumn mooncake festival. It involved 10,568 participants. 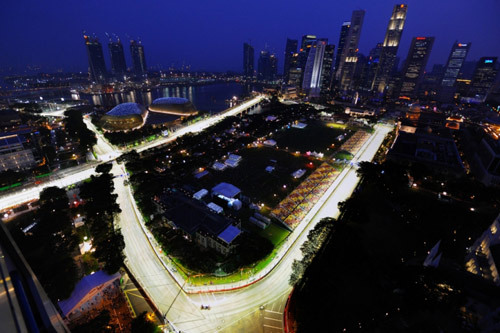 The world's first Formula One night race was held on 28 September 2008, at the Marina Bay Street Circuit. Fernando Alonso (Spain) driving for Renault, won the race, although later investigations uncovered cheating, and the event was dubbed 'Crashgate'. The actual location of the F1 race in Singapore is displayed above. 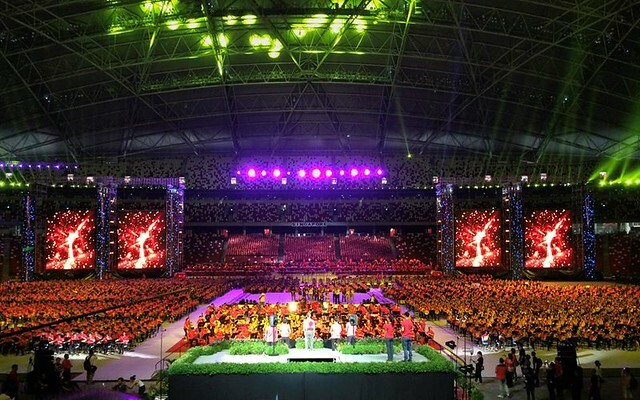 The world's largest can mosaic was formed by the Yew Tee Community Club Youth Executive Committee on 14 December 2008. 101,616 used beverage cans were formed into the shape of the main island of Singapore. The world's largest ant farm habitat was created by Colgate Palmolive Ltd Singapore on 28 December 2008, and measured 1.2 m (3 ft 11 in) height x 0.9 m (2 ft 11 in) width and 0.08 m (3 in) depth. 200-300 ants were released into the habitat. 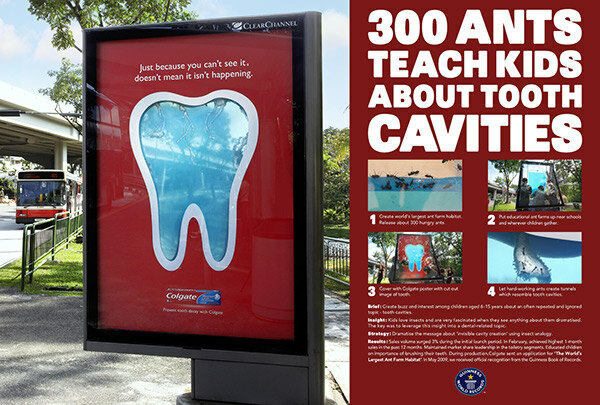 It was created as a promotion for Colgate Anti Cavity toothpaste. The actual feat is pictured above. 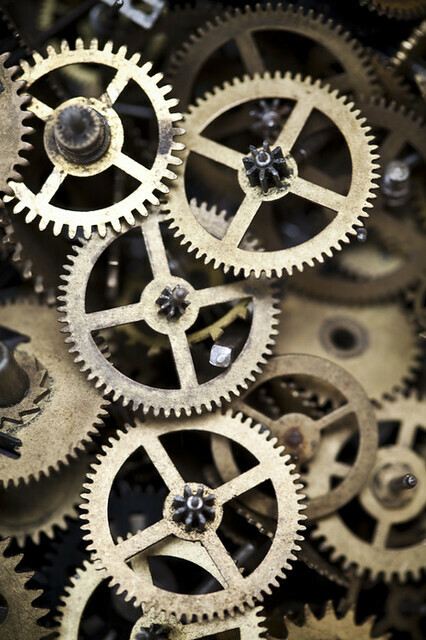 The world's smallest working gears were developed by researchers at A*STAR Institute of Materials Research and Engineering on 1 January 2009. The gears are molecular-sized, and can be fully controlled to rotate clockwise or anti-clockwise by nudging with the probe of a Scanning Tunnelling Microscope. 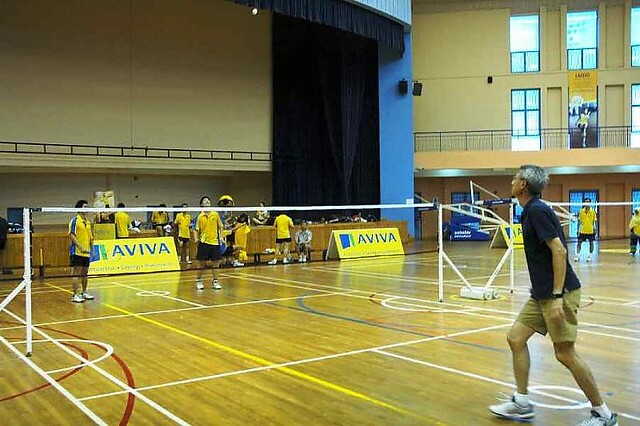 The world's largest badminton rally was organised by Aviva Singapore on 23 May 2009. Over 600 people took part, and the record was eventually set at 2:55pm, with a total of 96 different people each taking turns to hit 1 shuttlecock in 1 continuous rally, without it falling to the ground. A photo from the attempt is displayed above. The most number of vinyl records smashed in 30 seconds was 38 vinyl records, on 14 January 2011, at the EMC Briefing Center. This record was achieved by the YiDoJang Martial Arts Team, consisting of Mr. Stephen Pang, Mr. Chan Kok Pheng, Mr. Quek Boon Hock, Mr. Ang Soon Chuah, and Mr. Tan Yong Chen, and sponsored by EMC Corporation. A photo from the attempt is above, and the video of their feat can be viewed here. 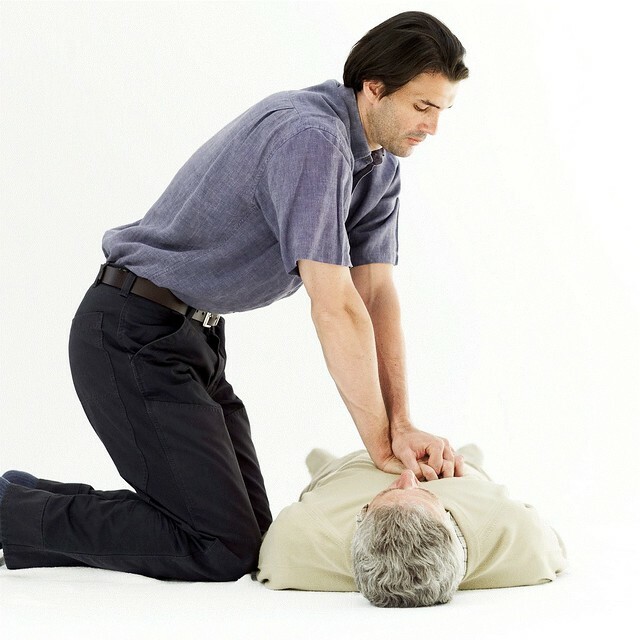 The world's largest CPR training session was organised by the Singapore Heart Foundation on 16 January 2011, at the Singapore Expo, and involved 7,909 participants. 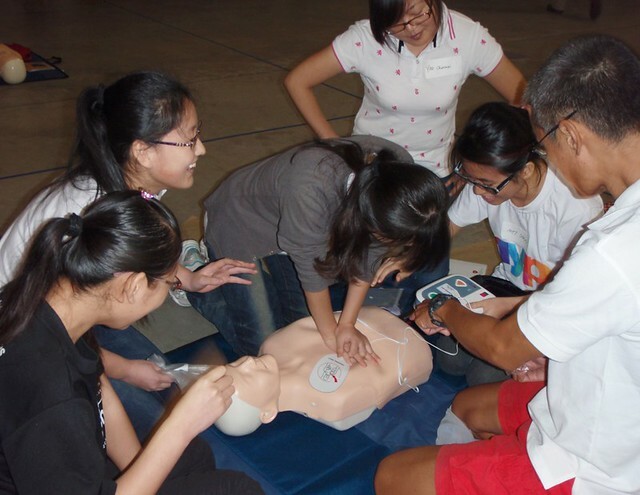 The record attempt was part of Singapore’s first National Life Saving Day. The world's largest cha cha cha dance was achieved by Edgefield Primary School on 17 July 2011. It involved 3,379 participants, including the school's pupils, their parents, and staff. A photo from the attempt is displayed above. The world's largest AED (Automated External Defibrillator) training session was organised by the Singapore Heart Foundation and the National Resuscitation Council on 15 January 2012, at the Singapore Expo, and involved 1,708 participants, with 660 qualified CPR + AED instructors. The record attempt was part of Singapore’s annual National Life Saving Day. A photo from the actual event is displayed above. 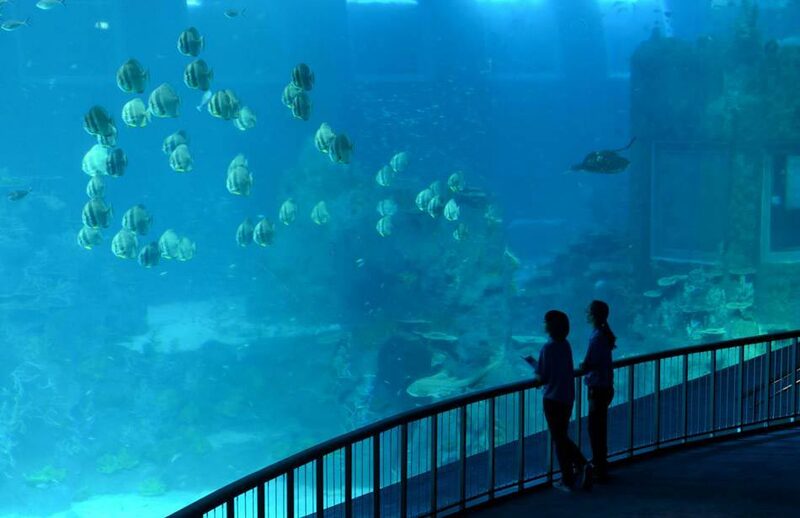 The world's largest oceanarium was opened to the public on 22 November 2012 at the S.E.A. Aquarium in the Marine Life Park, Resorts World Sentosa. Besides a total of 45,000,000 litres of water, spread over 10 zones with 49 habitats, and housing over 100,000 marine animals of over 800 species, the S.E.A. Aquarium also houses the world's largest collection of manta rays. The Ocean Dome has the largest viewing window measuring 36 meters by 8.3 meters, giving viewers the illusion of being on the ocean floor. The actual location is displayed above. 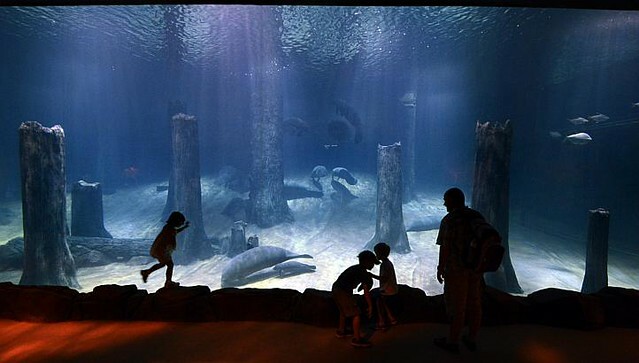 The world's largest freshwater aquarium was opened to the public on 3 April 2013 at the River Safari. The Amazon Flooded Forest aquarium has a volume of 2,000 cubic meters, and a viewing window measuring 22 meters by 4 meters, housing 18 different species of fish and animals. The actual location is displayed above. The world's longest chain of plastic bottles measuring 2.28 kilometres, was made with 9,060 empty plastic bottles joined together in 1 continuous string. Created at the 5th National Youth Envirolympics Challenge (NYEC), the feat began on 24 May 2013, and was achieved within 24 hours, on 25 May 2013. The actual feat is displayed above. 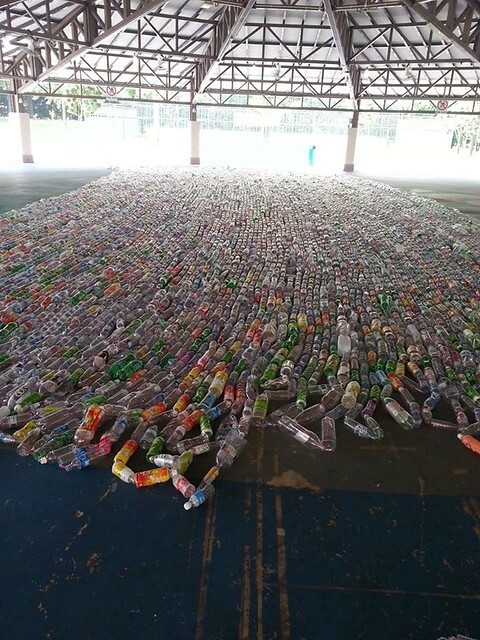 This record was yet to be officially recognised, when it was then broken on 14 December 2013, by the Annai Violet College Of Arts And Science in Chennai, India, with 18,843 plastic bottles measuring 5.14 kilometres. 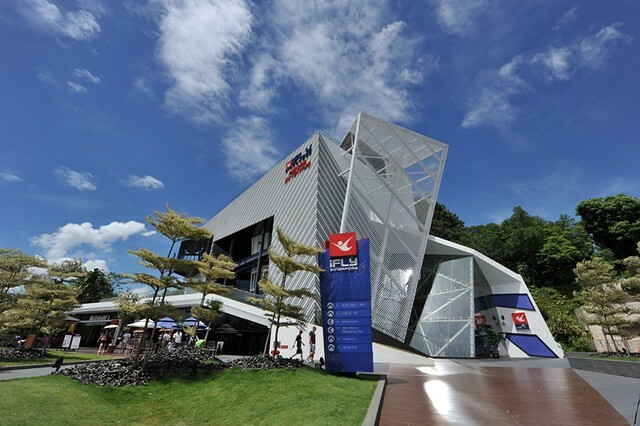 The world's largest indoor skydiving wind tunnel was confirmed to be iFly Singapore on 29 August 2013, about 2 years after they first began operations in May 2011. The indoor wind tunnel has an internal flying volume of 373.190 m³ (13,179.08 ft³), a height of 56.5ft, and a diameter of 16.5ft. It can accomodate up to 20 professional flyers at the same time. The world's largest high definition video wall was opened to the public on 9 November 2013 at Suntec City Mall. Dubbed the 'Big Picture', it combines 664 full high definition (HD) light-emitting diode (LED) television screens. 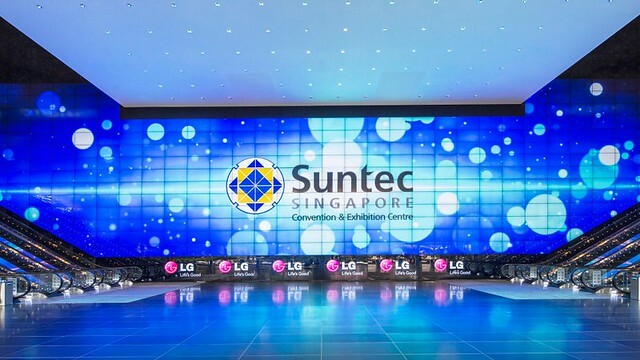 This joint collaboration between LG Electronics and Suntec Singapore Convention & Exhibition Centre measures 60 meters by 15 meters. The actual location is displayed above. 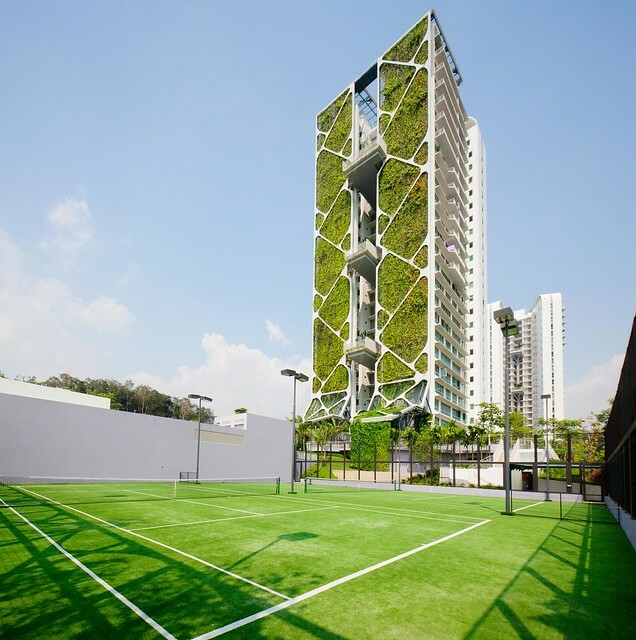 The world's largest vertical garden (green wall) was recognised on 11 June 2014, at the Tree House condominium in Bukit Timah. This 2,289 square metre vertical garden / green wall was built by City Developments Limited (CDL), and has energy conserving features such as heat-reducing windows and staircase lights motion sensors. It's expected to help the 24 story building with 429 housing units save an estimated SGD $500,000 in energy and water annually. The actual location is displayed above. 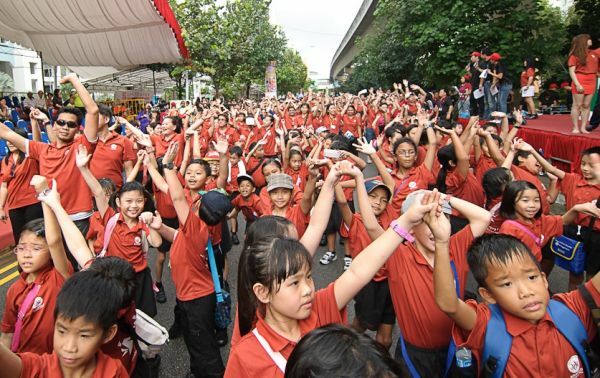 The world's longest body percussion chain was set on 6 March 2015, by Pasir Ris Crest Secondary School. To celebrate their 15th anniversary, 1,180 staff and students stood in a long continuous line, then created percussion rhythms by clapping hands, patting shoulders, and stomping feet. They sustained these simultaneous actions continually for more than 5 minutes. A photo from the actual event is pictured above. 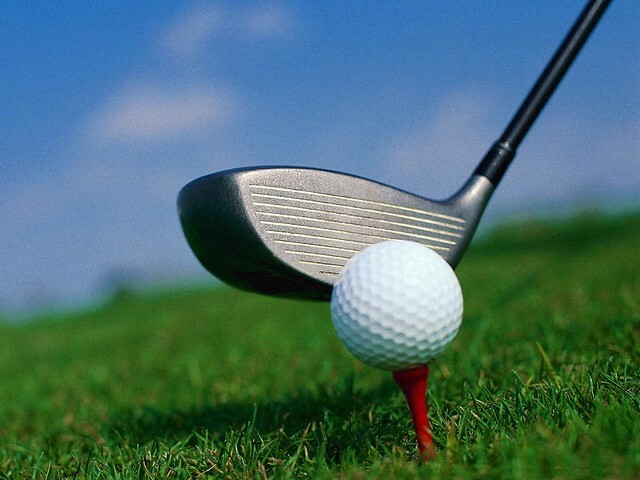 The most golf balls hit simultaneously was 1,453 golf balls, on 19 February 2006, at 13 different golf courses around Singapore. It was an event held to celebrate the National University of Singapore's 100th anniversary, with 1,710 golfers attempting the challenge, although 257 of them failed to reach the minimum distance of 100 yards. Clubs that took part included Changi GC, Jurong GC, Keppel Club, Laguna National G&CC, National Service Resort & Country Club, Orchid CC, Raffles CC, Seletar CC, Sembawang CC, Sentosa GC, Sinapore Island CC, Tanah Merah CC, and Warren G&CC. 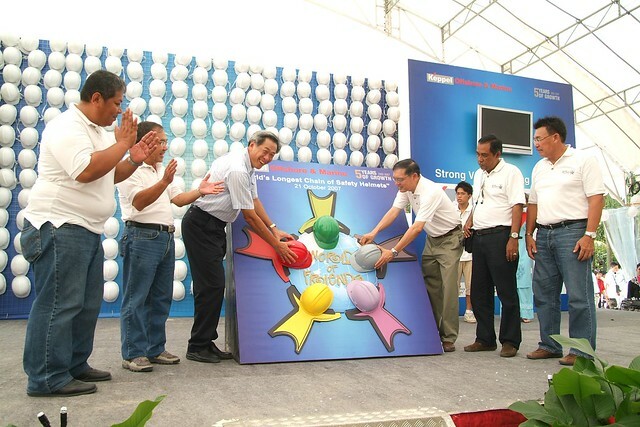 The most games of scrabble played simultaneously was organised by Northland Secondary School, Mattel SouthEast Asia Pte Ltd and Schools Scrabble Club on 14 March 2006. 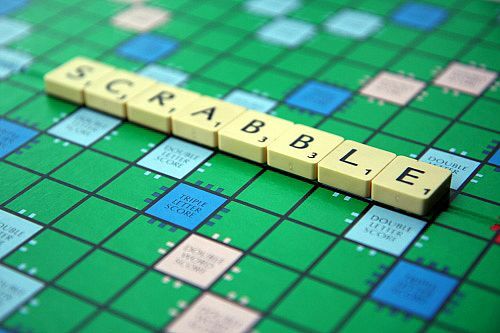 The record set was 521 simultaneous scrabble games, played by 1,042 participants from 65 secondary schools and organisations. 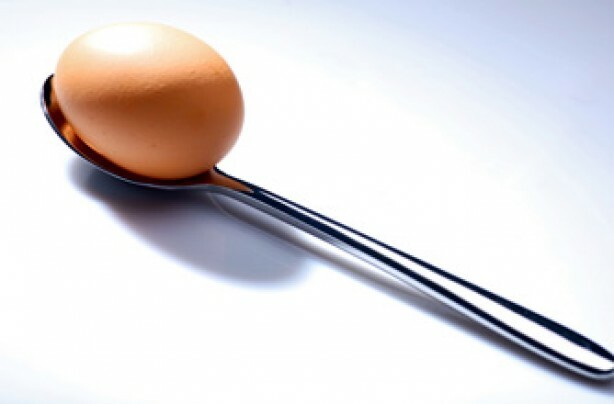 The world's largest egg and spoon race was played by 1,308 participants on 27 July 2008 at the Singapore Polytechnic (SP). 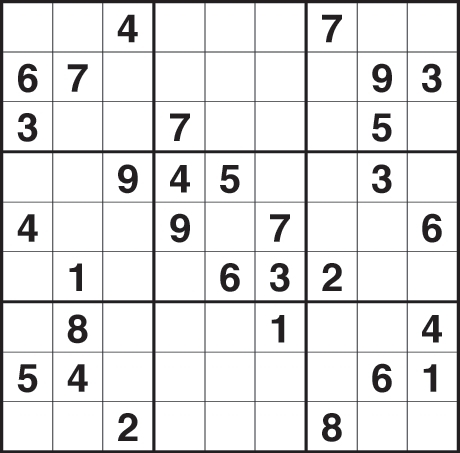 The most people playing Sudoku simultaneously was achieved by 1,714 participants on 1 August 2008, at Fairfield Methodist Primary School. The most people skipping simultaneously in a single venue was organised by the East Zone Schools on 29 August 2008 at Tampines SAFRA. The record set was 3,105 participants, from 88 schools. 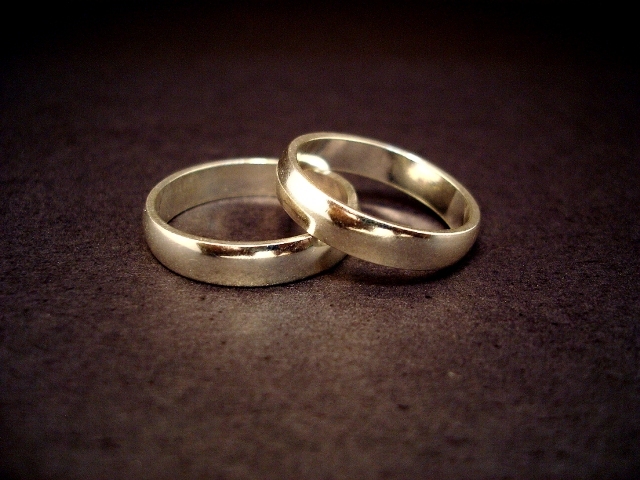 The most couples married in 24 hours in a single location was set on 20 September 2009 at the Singapore Botanic Gardens by 163 couples. 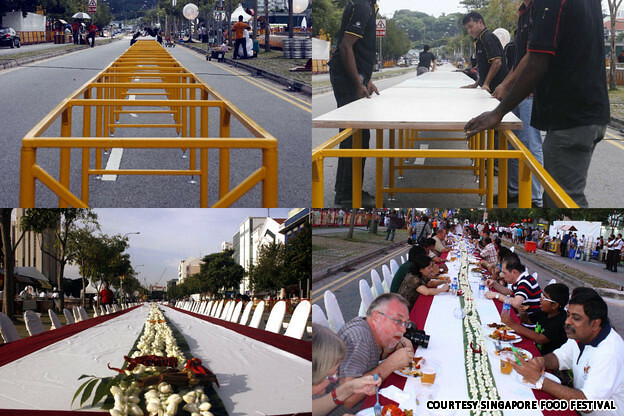 The world's longest table with a single table top was constructed on 23 July 2011, at Race Course Road. The 160 metre long single table had one continuous table top, and was made to commemorate the Singapore Food Festival 2011. Created in partnership with 20 of Singapore's best Indian restaurants, about 550 people paid SGD $100 each to dine at this table. The actual feat is displayed above. 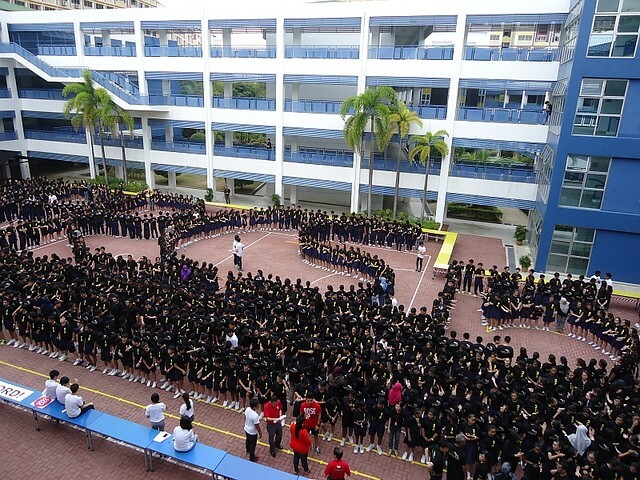 The world's largest limbo dance was organised by Global EduHub Pte Ltd on 1 October 2011, to raise money for the Children's Cancer Foundation. Held at ITE College West, 1,208 participants helped raise SGD $5,000. 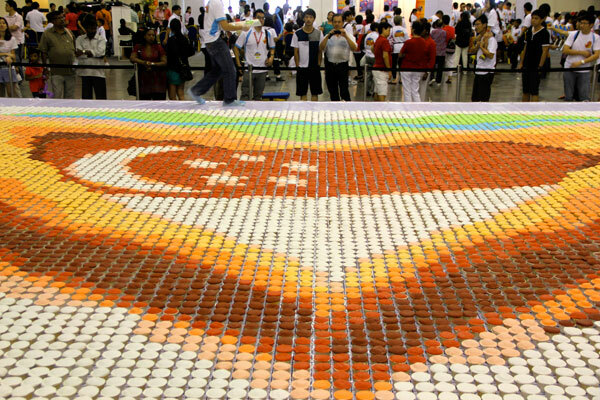 The world's largest cupcake mosaic measures 110.60 m2, and was created by the Ayer Rajah Community Centre Youth Club, Shatec Institute and other volunteers on 29 July 2012. 20,000 cupcakes were used. The actual feat is displayed above. 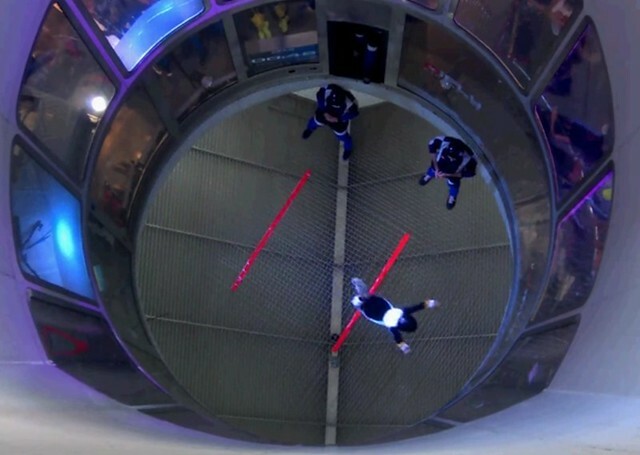 The longest indoor freefall was set on 16 December 2012 at iFly Singapore, by Alson Ooi, Joshua Tay, and Muhammad Ezrielshah Bin Rahmat. The 3 men flew continuously in the wind tunnel for 4 hours, and 2 minutes, which is equivalent to freefalling for more than 700km! The actual feat is displayed above. 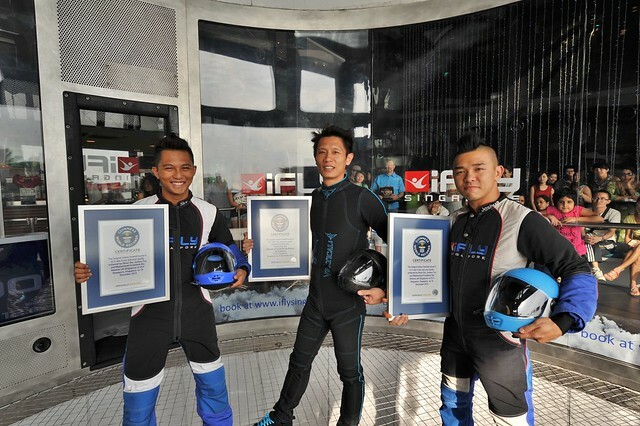 This record was later broken on 15 May 2014 at iFly Singapore, by Lawrence Koh and Kristopher Reynolds who flew for 4 hours, 22 minutes, and 20 seconds. 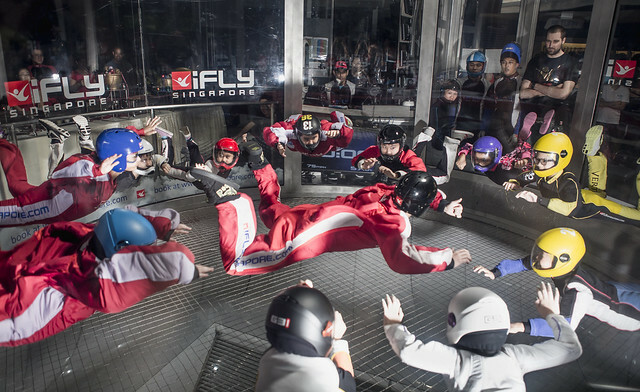 The most skydivers in a wind tunnel was set on 4 October 2013 at iFly Singapore, by 13 skydivers (12 adults / youth, and 1 child) who flew simultaneously for a total of 5 minutes. A photo of the attempt is pictured above. The most number of people showering together was set on 26 October 2013, at Sentosa's Siloso Beach. 263 people took part in the simultaneous shower, which was held after Singapore's first ever Zombie marathon, 'Race The Dead'. The presence of the SingTel Grid Girls probably helped boost the numbers as well. A photo from the actual event is pictured above. The world's largest chinese orchestra performance and The world's largest chinese drum ensemble was set on 28 June 2014, by the Our People Our Music 2014 (OPOM) concert, the first arts event to be held at the refurbished 55,000 seat Singapore National Stadium. With musicians and singers gathered from schools, clan associations, and community clubs, the record breaking performance featured 3,345 performers in the largest chinese orchestra performance, and 4,557 performers in the largest chinese drum ensemble. The youngest performer was 2 years old, while the oldest performer was 86 years old. A photo from the actual event is displayed above. 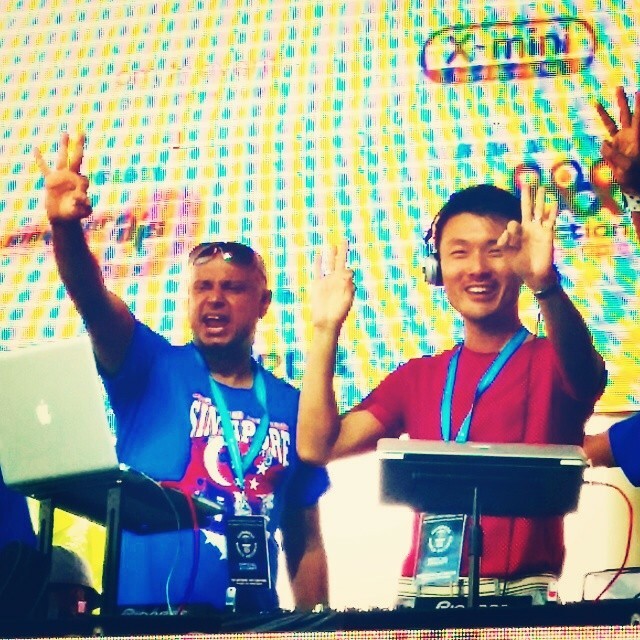 The world's longest club DJ relay session was set by 133 Singaporean disc jockeys / DJs on 9 August 2014, at the Marina Barrage. Held as part of the events commemorating Singapore's National Day, each DJ had an airtime of about 3 minutes, playing 1 song of their choice, before turning the table over to the next DJ in line, with a seamless transition of music. All songs had to be kept to within 128 and 132 beats per minute (BPM), and be radio-friendly. Taking place over 7 hours, from 11am to 6pm, a family carnival was organised alongside the record attempt for members of the public. A photo from the actual event is displayed above. 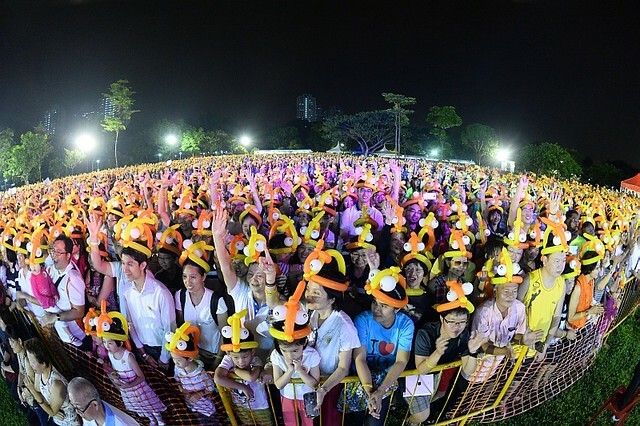 The most people wearing balloon hats was set by 5,911 participants at the Bishan - Ang Mo Kio Park Countdown Party on 31 December 2014. Volunteers from the Ang Mo Kio GRC, Sengkang West SMC, and PA Balloon Sculpting Interest Group spent 3 days creating all the balloon hats for the event. A photo from the actual event is displayed above. 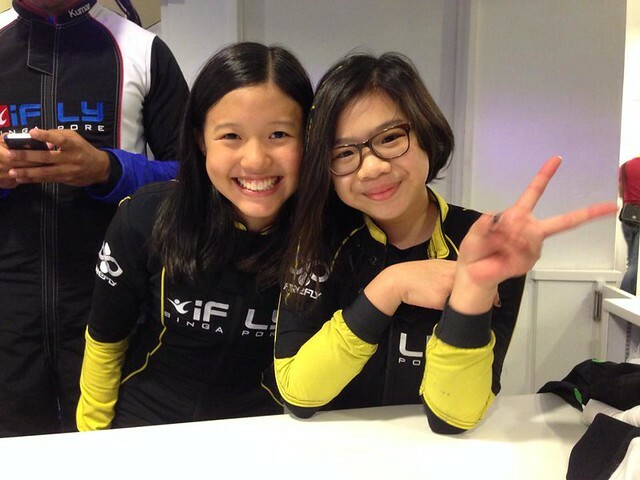 The most passes through a hula hoop in a wind tunnel in 1 minute (team of 2) was set on 21 May 2015 at iFly Singapore, by Team Firefly (Kyra Poh and Choo Yi Xuan), who completed a total of 57 passes within the time limit. A photo of the actual event is pictured above, and the video of the actual feat can be viewed here. 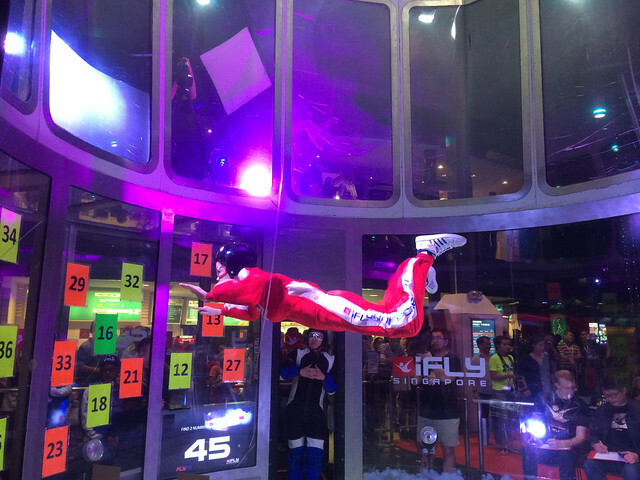 The most 2 way vertical spins in a wind tunnel in 1 minute was set on 21 May 2015 at iFly Singapore, by Team Firefly (Kyra Poh and Choo Yi Xuan), who completed a total of 29 vertical spins within the time limit. The attempt is displayed above, and the video of the actual feat can be viewed here. 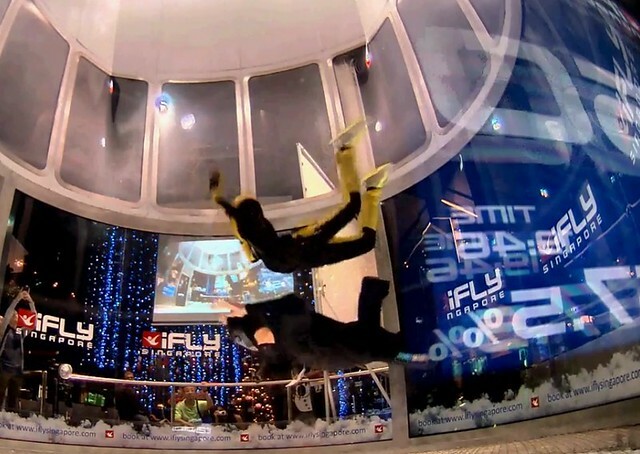 The most number of forward somersaults in a wind tunnel in 1 minute was set on 21 May 2015 at iFly Singapore, by Team Firefly (Kyra Poh and Choo Yi Xuan), who completed a total of 68 forward somersaults within the time limit. A photo from the attempt is displayed above. Choo Yi Xuan is on the left, and Kyra Poh is on the right. 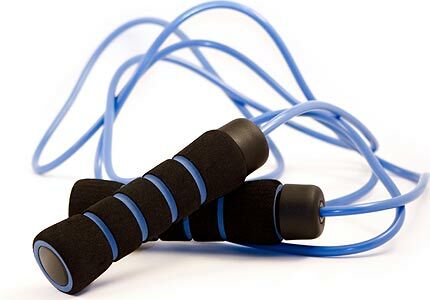 * Unless otherwise stated, all images displayed within this post are merely visual aids / representations, and are not connected to the actual world records in any way.